Chase Ross has recently completed his Masters in Sociology at Concordia University in Montreal, Canada. His research interests include: transgender identity, sexuality, media representations, tattoos, and identity. 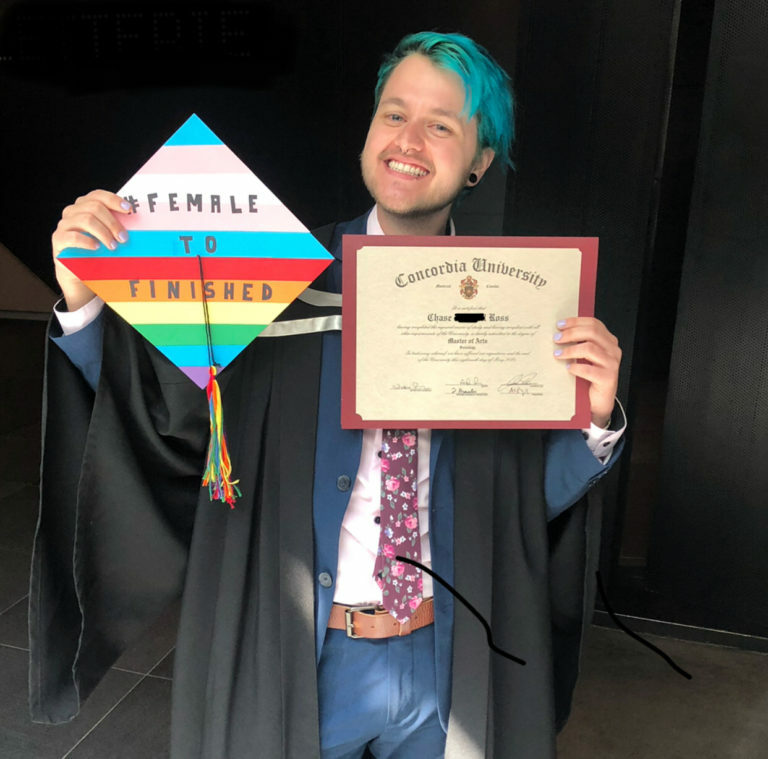 Some of the research he has done in the past includes topics related to: transgender men on Grindr (and other gay social dating apps/websites), issues within the transgender and transsexual communities, the importance of passing, ect. 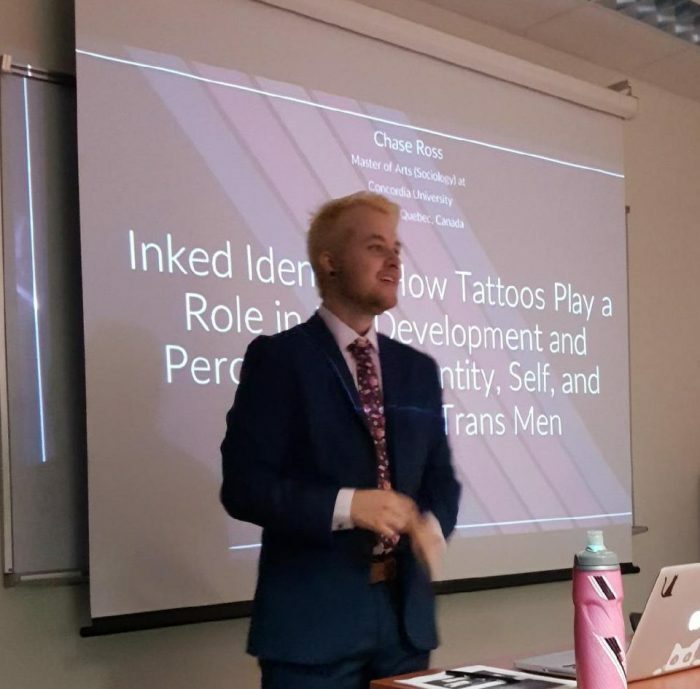 Currently, his Masters thesis looked at: identity, trans men, and tattoos. Ross, C. (2018). Inked Identity: How Tattoos Play a Role in the Development and Perception of Identity, Self, and the Body for Trans Men. Masters Thesis, Concordia University. Ross, C. (2014). The Importance of Passing for Queer Transgender Men: Safety, Masculinity, and Identity. In SAGSA. Ross, C. (2014) The Problems of Inclusion Under the Transgender Umbrella. In D. S. Saenz (Eds. ), The Journal of Interdisciplinary Studies in Sexuality (22-33). Montreal, Concordia University. Ross, C. (2015) “Transgender Representation on Television: A New Hope” Paper presented at the SAGSA (Sociology and Anthropology Graduate Student Association) Freedom, Hope, and Responsibility Conference. Concordia University, Montreal. Ross, C. (2014) “The Importance of Passing for Queer Transgender Men” Paper presented at the SAGSA (Sociology and Anthropology Graduate Student Association) Intersections Conference. Concordia University, Montreal. Ross, C. (2014) “The Importance of Passing for Queer Transgender Men: Safety, Masculinity, and Identity.” Paper presented at the undergraduate Sociology Honours Research Seminar Conference. Concordia University, Montreal. Ross, C. (2014) The Importance of Passing for Queer Transgender Men: Safety, Masculinity, and Identity. Ross, C. (2014) The Problems of Inclusion Under the Transgender Umbrella. Ross, C. (2014) The Importance of ‘Passing’ for Queer Transgender Men. In inDiscipline. Concordia University.